Dr. Barbara Hannes was born in Iowa and grew up in the Midwest. 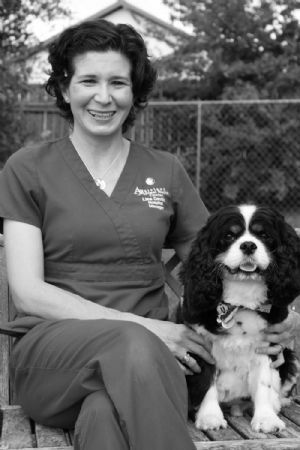 She received her veterinary degree from Texas A&M University and established Aggieland Animal Health Center in 1995. 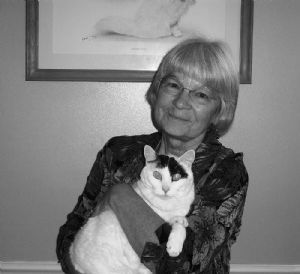 Dr. Hannes has special interests in pain management, geriatric care, cancer supportive care, feline medicine, and allergy management. Her main practice philosophy is to treat each patient as if he or she were part of her own family. Dr. Hannes and her husband, Konrad, share their home with four dogs, three cats, and six Peruvian horses. An accomplished horsewoman, she is a member of the Texas Ladies Aside - a sidesaddle equestrian drill team that is a five time USEDC National Champion. She loves reading, preferably beach side under a palm tree in the Cayman Islands, snorkeling and is also the owner of Aggieland Flowers and Chocolates. Dr. Elizabeth Osborne was born in Louisiana but lived in many different states throughout her childhood. Her family has a strong history of medicine, with a public health physician for a grandfather and a Navy physician for an uncle. 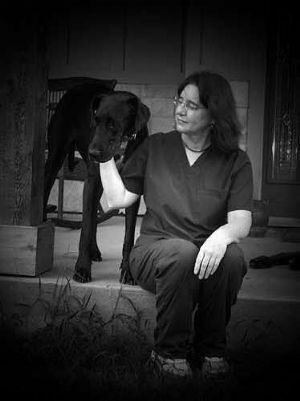 Dr. Osborne turned her love of science and animals to veterinary medicine and graduated from LSU with her DVM in 1992. 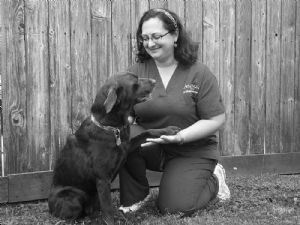 She became a practice partner at Aggieland Animal Health Center in 1998. Dr. Osborne has a strong professional interest in dentistry and finds cultivating the patient, client, doctor bond particularly rewarding. Dr. Osborne married her husband, David, in 1992, and they have two boys, William and Jonathon, a Chocolate Labrador named "Annie", a black and white Tuxedo girl, "Meowie Jane", and a tortoiseshell, "Miss Match". An avid runner who has completed several half marathons, she has varied interests ranging from knitting and sewing to antique classic cars. She shares her interest in cars with her father and sons. Together, she and her father drive and maintain a 1961 Mercedes 220SB, an Austin Healy Sprite, a Studebaker, a Corvette, and a Rolls Royce among others. We welcomed Dr. Wagner to our practice in 2013 to practice acupuncture and to offer that service to our clientele. 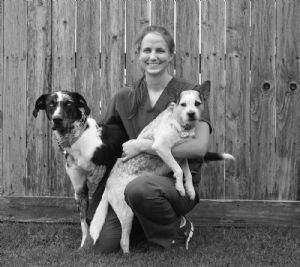 Dr. Wagner graduated from Texas A&M University's College of Veterinary Medicine in May, 1997. 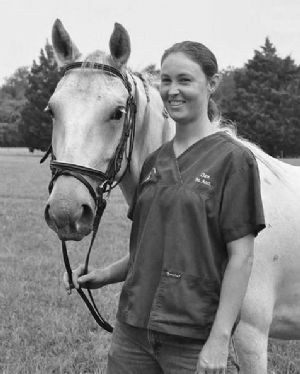 Upon graduation, she established her current equine practice in the Bryan-College Station area - Equine Veterinary Services. It was started as a large animal ambulatory practice and has over the years become a strictly equine mobile veterinary practice. In addition to her degree in Veterinary Medicine, she also holds a Master's of Agriculture in Animal Science with emphasis on Equine Reproduction (1991) and a Bachelor of Science in Animal Science (1988), both obtained at Texas A&M University. She completed the International Veterinary Acupuncture Society training courses to attain her CVA in 2013. 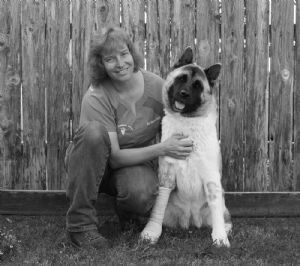 Her love of horses filters into her love of breeding and raising Akitas, and it is in her knowledge of working with companion animals that she cultivated her expertise in acupuncture. She uses this method of healing to provide a greater quality of life for animals that benefit from supplementing their current pain control methods or who can no longer benefit from standard methods of pain control. She has spoken at numerous national veterinary meetings, including the AAEP, AVMA, AESM, in addition to the many horse breeder and owner conferences. She also has publications in the American Journal of Veterinary Research and as well as many horse owner publications. 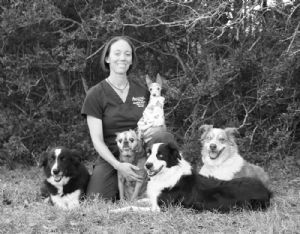 Dr. Wagner has wanted to be a veterinarian since she was young and was able to realize this dream. She is active in the community, supporting the local 4-H and FFA. She enjoys trail riding, foaling mares, dog showing (Akitas), outdoor activities, mountain hiking and snowfalls. 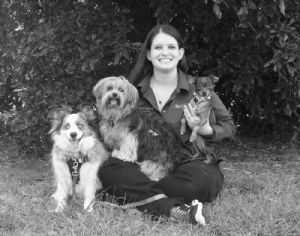 Our Pet Resort Manager, Heather Tackett, from Sugarland, Texas came to us in 2003. Her attention to detail makes her the ideal resort manager, helping to ensure that your companion is well cared for and receives the services we promise. Her family consists of her husband Aaron and her son Wyatt along with her cats, cattle, Australian Shepherds, Border Collies, and her pot belly pig, Sarah. They happily reside on their twenty-acre "Lucky T" Ranch where she tends to her animals and cultivates her green thumb. Lisa Davila, is from San Antonio, Texas and began her career with us in 2001. She manages our Hospital, working closely with our doctors to provide the best care possible for her patients. Her love for animals extends to her time away from us as well by her devotion to her tortoise, "Mr. Turtle" and her rescued Cavalier King Charles Spaniel, "Walt". Walt is a certified therapy dog with Aggieland Pets with a Purpose (APWAP), bringing joy to those in our community confined to hospitals or retirement homes. As a member of the Fightin' Texas Aggie class of 2000, she earned a BS in Biomedical Science. When not at the clinic or engaged in community service, you can find her indulging in her hobbies which include cooking gourmet vegan food, reading and yoga. She is also an avid runner, competing in several full and half marathons. Look for her tooling around town with Walt in her little black Fiat, nicknamed "Luigi". Andrea joined us in April 2012, and her attention to detail and compassion for animals is a great addition to our client services team. She became Client Services Manager in September 2014. She is a 2012 graduate of TAMU with a degree in Psychology. Her companions in life are her precious Yorkie, "Abbie," her adorable Miniature Aussie, "Harley," and her rescued Chihuahua, "Hazel." She is active in the animal rescue community and is a frequent volunteer with Long Way Home Animal Sanctuary. In her spare time, she is an avid reader of any genre, a traveler who enjoys temperate climates, and she is an outstanding baker of all things sweet. Lauren is one of the friendly faces and voices that will greet you when you call or arrive for services with us. She has been helping our guests and clients since 2012 and became Client Services Manager in September 2014. Lauren is an avid video game enthusiast and enjoys time spent with her boyfriend, Taylor, battling each other with their favorite game, Mass Effect. Her real love, though, is time spent with her three cats, "Chianti," "Kelso," and "Ghirardelli". She is quite the cat trainer, having introduced her cats to clicker training and is seeing great results. She stands ready to make your cat or dog feel welcomed to our clinic and resort. 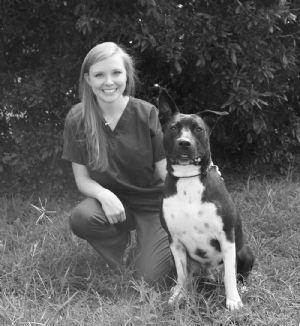 Madalyn is our accounts manager and has been a part of the Aggieland Animal Health Center team since 2004. In her spare time, she enjoys ballroom, square, and round dancing and can often be found at weekend festivals and dancing events. Madalyn is a music lover through and through, and is involved in several choirs and ensembles though church and playing the piano. She has a loving husband, Ron, and a very sweet cat, "Max." Max often joins in her favorite activity when he sits on the piano bench as Mom plays. Caty has lots of interests with travel being top of the list, especially international cruises. She hopes to visit the Czech Republic and Greece in the future. She also knits and is in the process of learning to crochet. A guilty pleasure after working hard is to eat Blue Bell Cookie & Cream straight out of the container while watching old reruns of "Friends," but it all centers around her two dogs, "Duke," a Catahoula, and "Miechka," a Blue Heeler mix. Caty has been taking care of our resorts guest since July of 2013, and we love her calmness and attention to detail. Clare assists Dr. Wagner during acupuncture procedures. Clare has had a love for horses and companion animals all her life. She was actively involved in 4H while in high school, as well as having worked at Camp Double Creek where she assisted with lessons, veterinary care and farrier work. She graduated from Texas A&M University in 2008 with a BS degree in Animal Science. During her tenure at Texas A&M, she assisted with training at two ranches - Twin Creek Ranch and Carousel Acres. After graduation she did student worker training program in NY at Outfoxed Farm and then returned to College Station, TX. She now owns her own training and breeding facility, CW Baroque Horse, and works for Dr. Wagner's equine clinic as a veterinary technician. She has interests in many riding disciplines and raises Lipizanns. Crystal has an Associates Degree in Pre-Engineering and Math and is currently earning her Bachelors Degree in Manufacturing and Mechanical Engineering at Texas A&M. She spends the majority of her time in class and studying. When she is not in class, Crystal enjoys spending time with her fiancé, Joseph, and children, Alysa and Vincent. She has two cats, Samantha Houston, a bottle baby, and Leslie Marie, a rescue kitty, whom she loves spending time with. 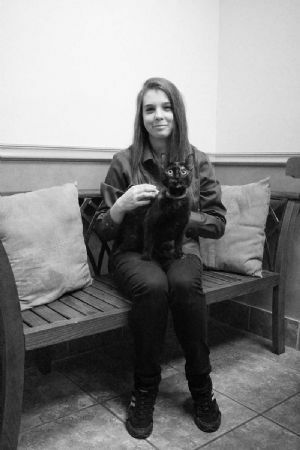 Crystal has been providing excellent care to our Pet Resort guests since March 2014 and is ready to help your cat or dog feel at home in our Resort. Elda became a team member July of 2014. She's a local girl from Caldwell working on a degree in business management at Blinn. She loves her dog, "Stella," a Lab/Border Collie Mix, and a long-term goal is to have her own animal shelter. She enjoys good Mexican food, photography, video games, and also getting out doors by camping and hiking. 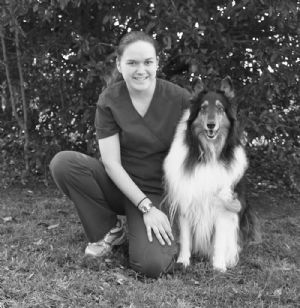 She is ready to help you and your pet feel welcomed and to offer our variety of services. Kelsie comes to us from Acton, California, and she brings to us her sunny smile and disposition, ready to help serve you and your pet during your next visit. A team member since September 2014, she graduated from University of California Santa Barbara with a degree in Communications. A true out of doors girl, she loves hiking, fishing, camping, snowboarding, and playing soccer. Her sidekick is her gorgeous Pittie/Lab Mix, "Ollie," that keeps her busy at the park or engaged in fun with him. Down time is spent reading, writing, or playing board games. She enjoys fostering dogs for rescue and hopes to adopt a Greyhound in the future. 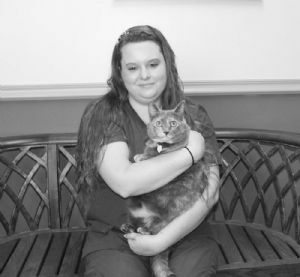 Rebecca began caring for our Pet Resort guests in October 2014. She is studying to earn her Bachelors Degree in Wildlife & Fisheries, with a focus on Animal Behavior and Management from Texas A&M. 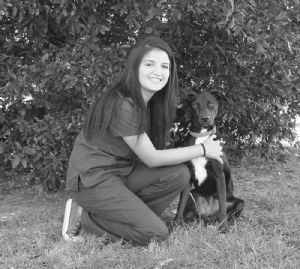 After graduating, she plans to become a certified animal trainer and behaviorist, focusing on working with shelter pets. She spends her downtime watching soccer games, reading, and training Bella, her rough collie. We were happy to welcome Rebecca and her kind, patient demeanor to our Staff.